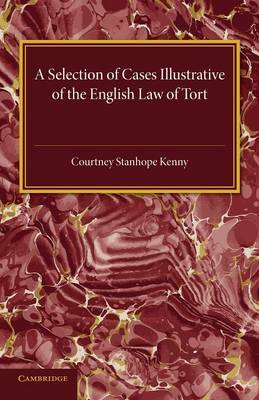 First published in 1928 as the fifth edition of a 1904 original, this book contains an overview of a number of cases that established important precedents in English tort law. The topics covered include the general principles of liability for tort, the various kinds of torts, and the relations between tort and contract. This detailed book will be of value to anyone with an interest in British legal history.